Our range of commercial stacking chairs are perfect for restaurants, bars, cafes, bistros and more. There are so many options out there that we know choosing furniture for your business can be tough, but modern stacking chairs are the perfect way to ensure a dining space that’s practical as well as stylish. The obvious advantage to commercial stacking chairs is, you guessed it, they stack! If you’re furnishing your whole place with these chairs, then you’ll be pleasantly surprised by how easy it is to clean the floors with them stacked up and out of the way. Aside from floor cleaning, these handy chairs are also useful to store as spares and bring out during busy periods. Because of their convenient stacking function, they won’t take up much space in storage, and you can easily accommodate more people at very short notice! Brightening up your interior doesn’t have to be a case of painting the walls, either! Our ‘Shoreditch’ and ‘Hammerwich’ commercial stackable chairs come in a variety of fantastic colours. 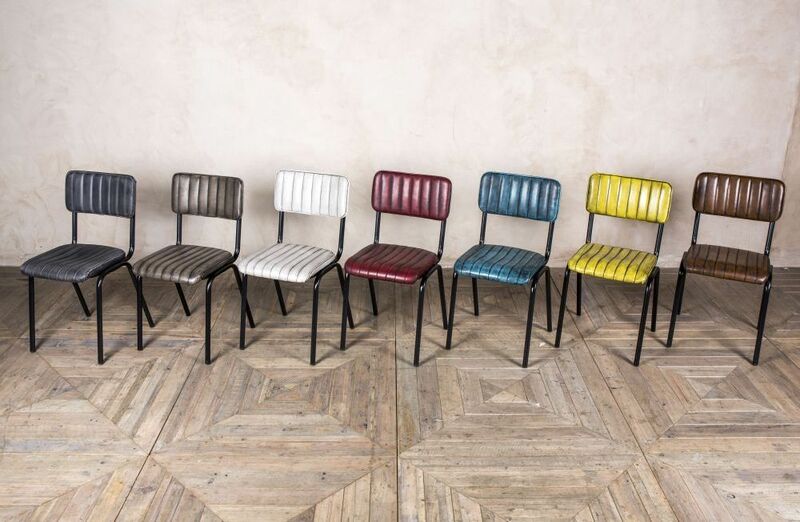 The faux leather ‘Hammerwich’ feature ribbed stitching and a distressed finish, ideal for trendy industrial style spaces. We even stock matching stools in two heights, so you can coordinate the bar area to match. The ‘Shoreditch’ offer a more polished look, with sleek leather seats. 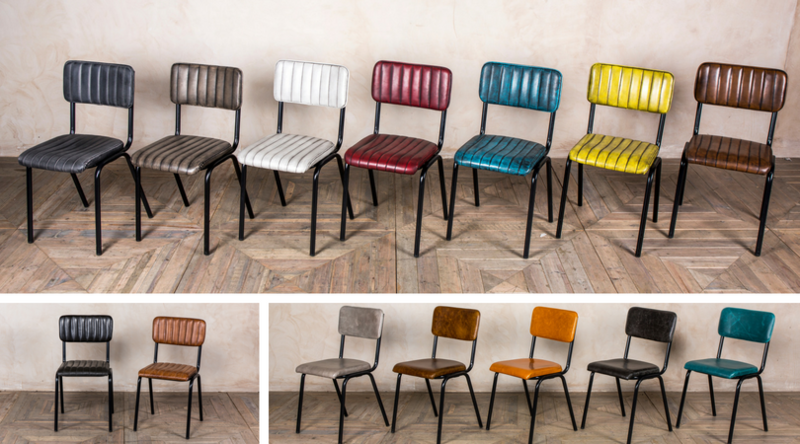 The leather has a slightly aged appearance, giving these modern stacking chairs a vintage edge. 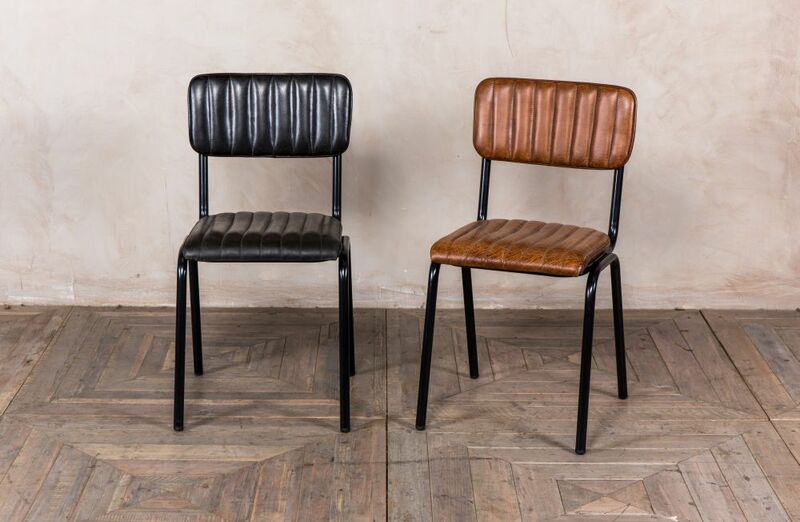 If you have a more neutral colour scheme, our ‘Arlington’ chairs come in tan and black leather. They have elegant ribbed stitching and, like the ‘Shoreditch’, feature an aged appearance that makes them ideal for vintage or retro interiors. We stock matching bar stools in this style, too. Our commercial stackable chairs are great for co-ordinating with each other; chose one colour or why not mix and match? Another advantage to these modern stacking chairs is that they are relatively compact. They won’t take up too much room, so they’re ideal for small cafes and tearooms. 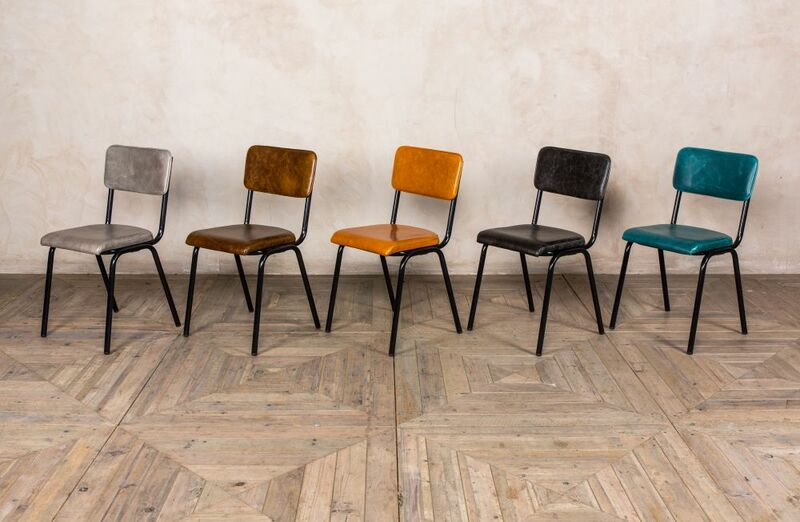 As well as these commercial stacking chairs, we also stock a huge range of vintage stacking chairs! Both the modern and vintage are ideal for use as commercial stackable chairs. Which ones are your favourite? Let us know!